The Strawberry Blond: Fall Cravings! Autumn has officially begun and I am already stocking up on the latest Fall fashion trends! If you couldn't tell by now, one of my absolute FAVORITE places to shop is Charming Charlie. They not only have an incredible selection but you can beat their prices! Today I am sharing with you my latest Fall Cravings the brand has to offer. 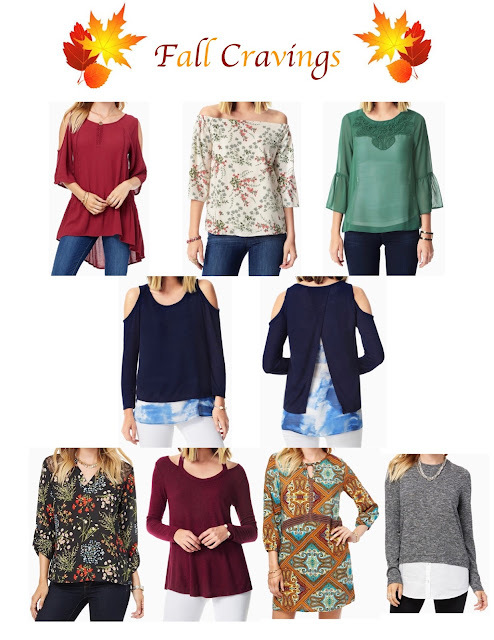 I love all the warm colors, cold shoulders and bell sleeve tops and dresses. Let me know what Fall trend is your favorite! Thank you so much for stopping by! Enjoy your weekend!